The four-footed superstar is here with his friends as puppets! 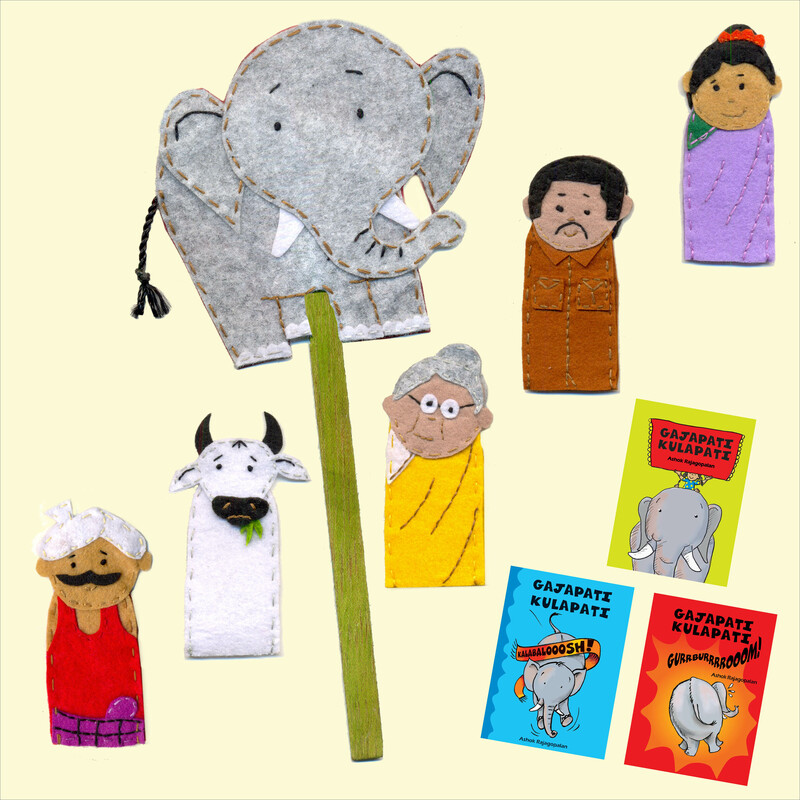 Tell all stories from the Gajapati Kulapati series with this fabulous set of handcrafted puppets. Soft like Gajapati Kulapati, these handy puppets are for all ages much like the books. All finger puppets are washable. 4. Set of five finger puppets and one stick puppet.